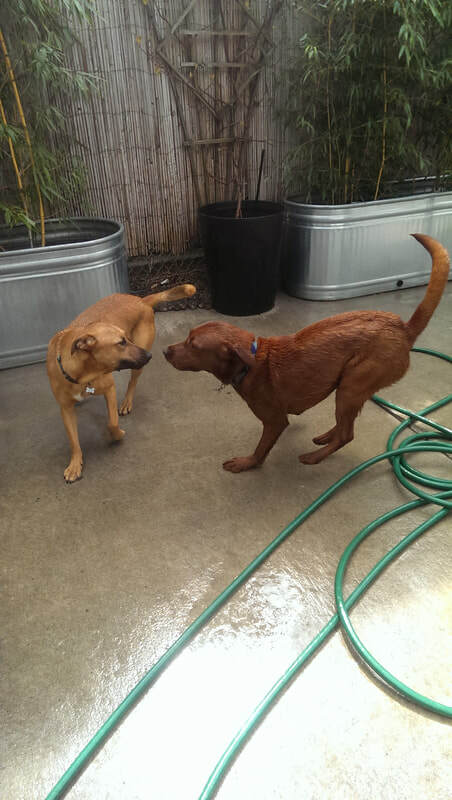 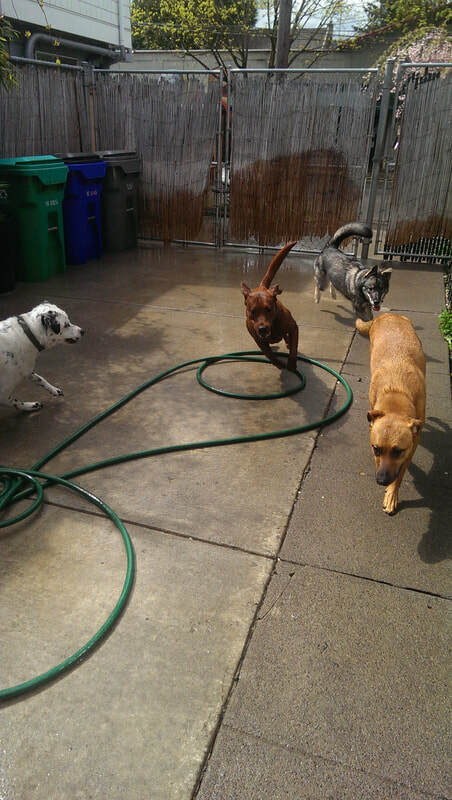 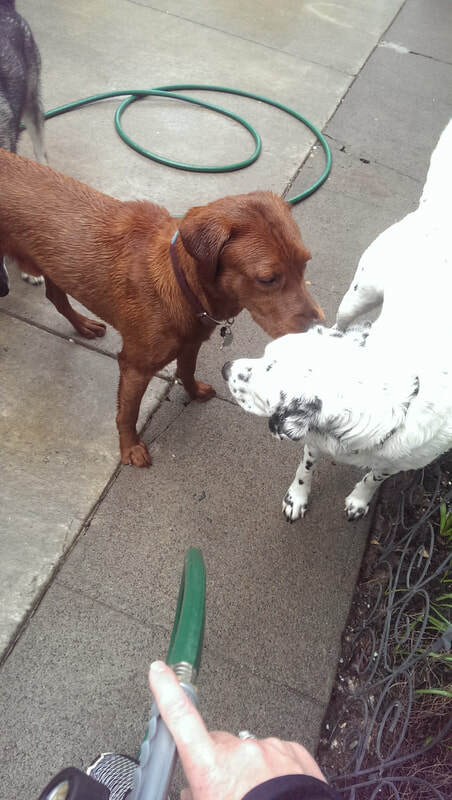 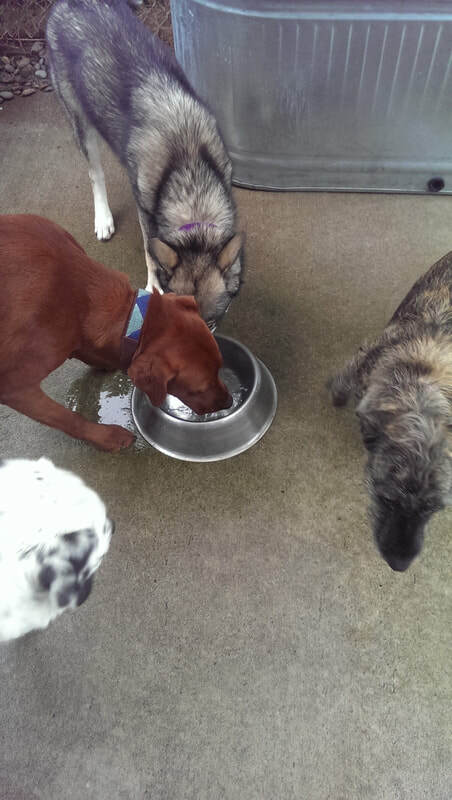 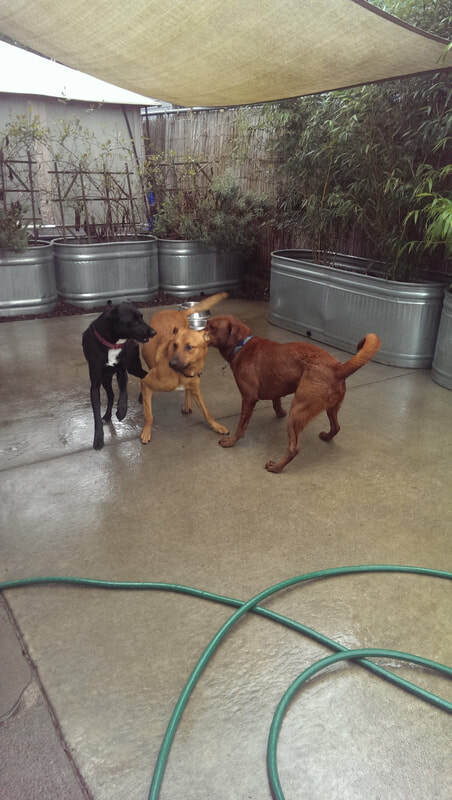 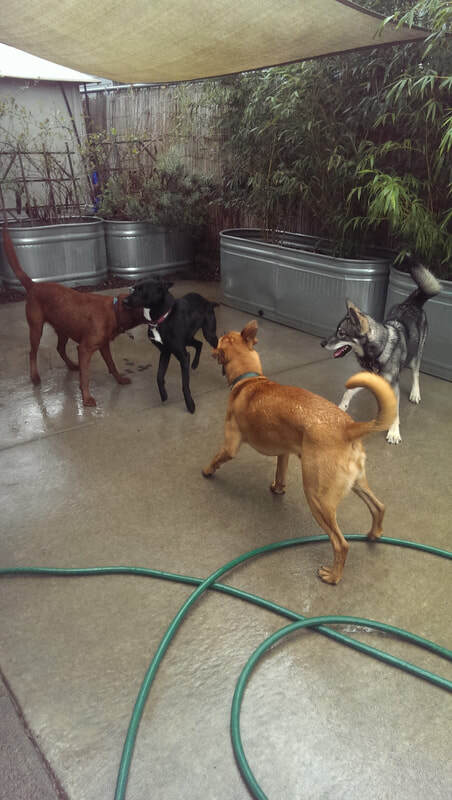 ​4/12 - Cider is out with the full pack and having a blast playing with some of the more energetic pack members. 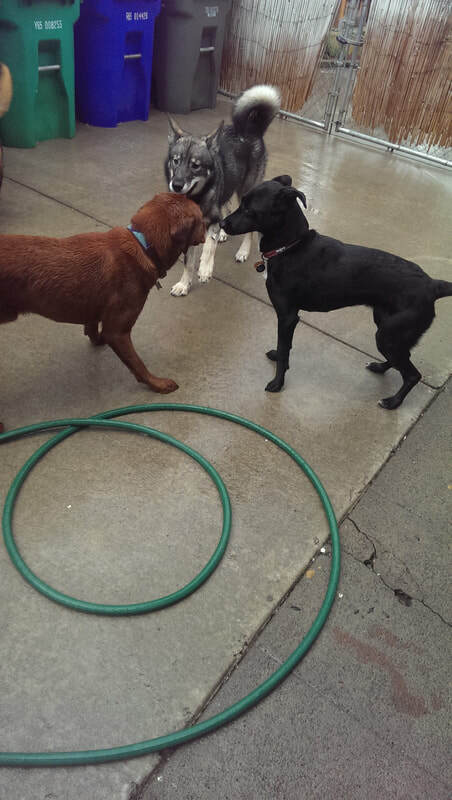 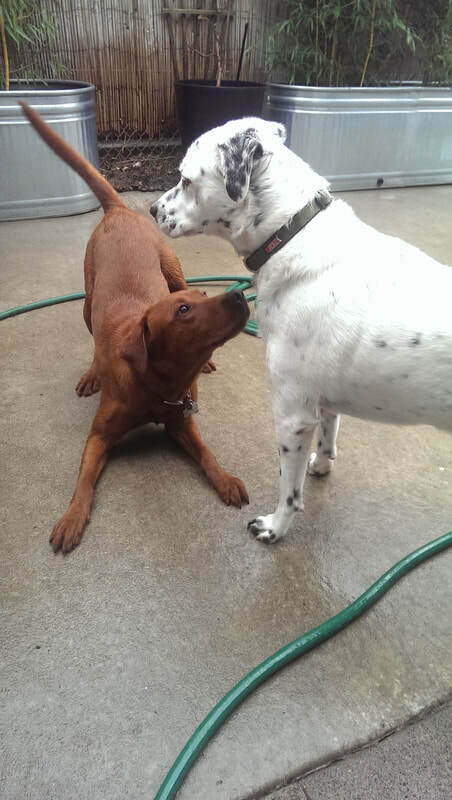 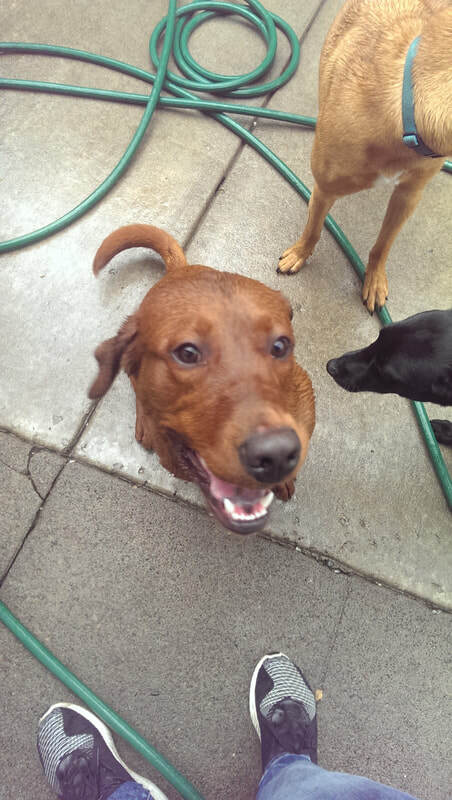 He's starting to learn to pay attention to social cues from the other dogs, although it's a work in progress. 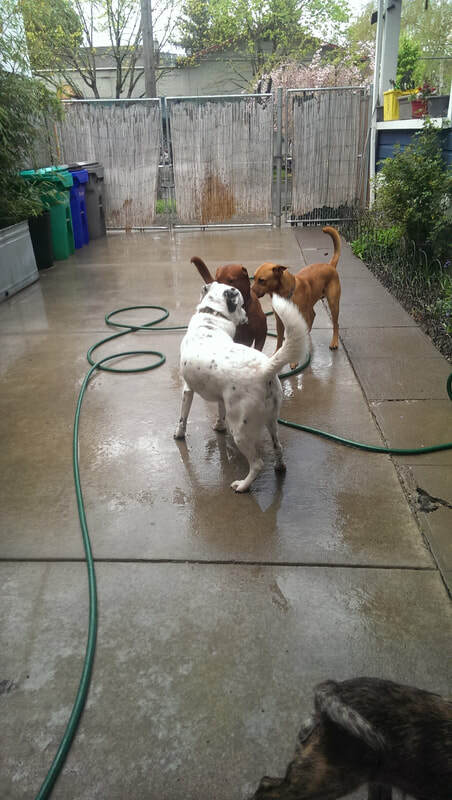 4/15 - Cider is doing well in the pack and starting to listen and respond to "Gentle", as he can be a bit overbearing in his play. 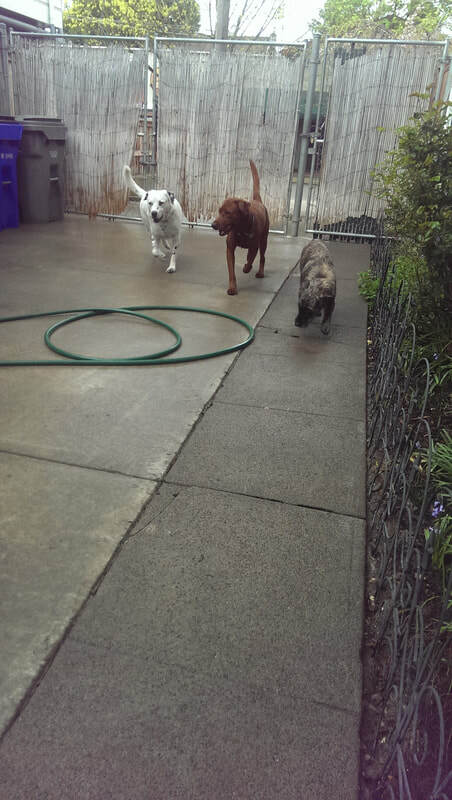 He is doing well responding to Sit, even with distractions, but definitely has a short attention span and quickly wants to get back into the mix!